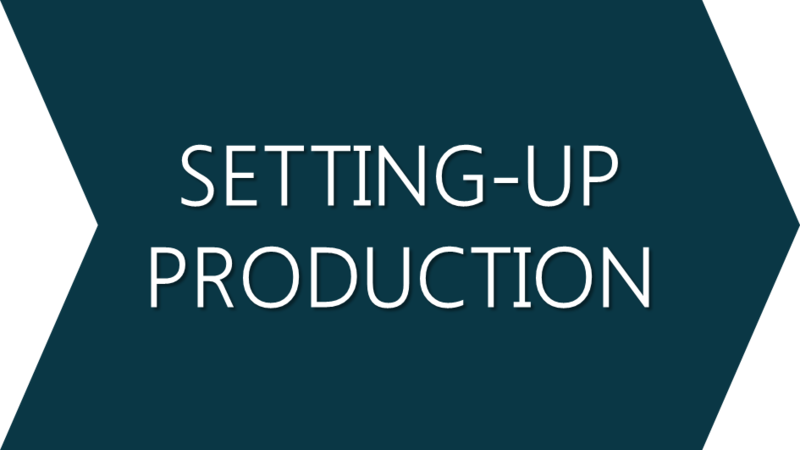 TANIQ will assist you with setting up your production. This includes installation and testing of the equipment as well as training your personnel to work with the software and equipment. TANIQ works closely together with equipment manufacturers and robot suppliers to develop the robotic production cells and auxiliary tooling. During the development of your processes the final equipment takes form. After receiving your order, the equipment will first be installed at TANIQ. Here the robotic equipment and tooling is integrated, programmed and tested. This period can also be used to already develop and test a number of products, which you can then directly start producing after installation at your facility. After training for your personnel, the equipment will be shipped and installed at your facility, and you can directly start designing and manufacturing yourself. TANIQ will continue to provide assistance, maintenance and updates to keep your production running smoothly and to stay ahead of competition. TANIQ will ensure your transition to automated production goes as smoothely as possible. Besides setting up the production equipment and design software, TANIQ can (if desired) also assist with the design of mandrels and moulding tooling, or with finding local material suppliers.